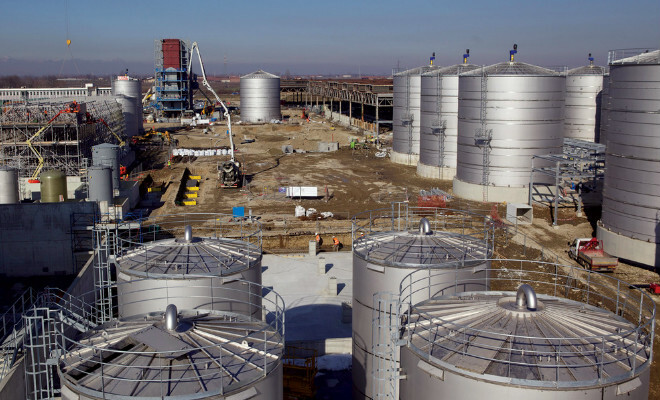 The Italian group Mossi-Ghisolfi in partnership with Proesa Technology, is about to inaugurate the first unit in the world to produce second-generation ethanol generated from biomass non-edible, in a ceremony that will be held on October 9, 2013. The opening ceremony will be Crescentino, small town between Milan and Turin. Italian government officials are expected, and Vittorio Ghisolfi, president of Mossi Ghisolfi Group. The project is budgeted at 110 million euros and expected production with annual capacity of 13 million liters of fuel. The unit will produce second generation bioethanol from biomass Arundo donax, known as giant cane, which is not appropriate for consumption.